Guest Editorial: Hess, Should Arbitration and European Procedural Law be Separated or Coordinated? 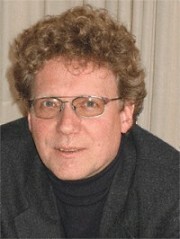 Prof. Burkhard Hess is Professor at the University of Heidelberg and judge at the Court of Appeals in Karlsruhe. All views expressed in this paper are the personal views of the author. An enlarged version of this article is going to be published in the Cahier de l’Arbitrage 2010. The idea of separating arbitration entirely from European (procedural) law is an illusion, since recent case law demonstrates growing frictions and inconsistencies. The proposals of the Heidelberg Report which are severely criticised by parts of the “arbitration community” should be regarded as a (preferable) alternative to a comprehensive action of the European Union in the field of arbitration. The article describes the political background and contributes to the current discussion on the reform of the Regulation Brussels I with regard to arbitration. The following article first delineates the background of the present discussion (II), than it briefly presents the proposals of the Heidelberg Report (III) and the Commission’s Green Paper ((Green Paper on the Review of Council Regulation (EC) no 44/2001 on Jurisdiction and the Recognition and Enforcement of Judgments in Civil and Commercial Matters of April, 21st,2009, COM (2009)175 final.)) as well as the reactions to the Green Paper – including the current lobbying efforts in Brussels (IV). ((All references to “submissions” in this paper refer to the submissions of Member States and other stakeholders to the EU Commission with regard to the Green Paper of April, 21st,2009, COM (2009)174fina, available at: http://ec.europa.eu/justice_home/news/consulting_public/news_consulting_0002_en.htm.)) The last part of the paper deals with possible solutions which could be acceptable for both sides and would be in the interests of all of the parties involved. Unsurprisingly, the different concepts underlying litigation and arbitration entail diverging results in similar constellations. At present, several problems have arisen in this respect. The most compelling constellation concerned the recognition of arbitral awards. Recently, French courts recognised a Belgian award which had been annulled in Brussels because it was not in line with mandatory EU law. ((C.Cass., 6.4.2008, Soc. SNP v. Soc. Cytec Industries BV, Rev. arb. 2008, 473; for a similar constellation (not directly involving EU law) see [lbrxID883] C.Cass., 29.6.2007, Société PT Putrabali v. Société Rena Holding et al., Rev. arb. 2007, 507 = Clunet 2007, 1236.)) The French courts had only verified that the award did not violate EU law in a flagrant way and, consequently, had permitted its recognition. ((See Tribunal de Grande Instance de Bruxelles, 3/8/2007, Soc. SNP SAS v. Soc. Cytec Industries BV, Rev. arb. 2007, 303; the judgment was set aside by the Court of Appeal, 6/22/2009, Rev. arb. 2009, 554.)) As a result, diverging judicial decisions on the application of mandatory European law occurred in the Internal Market. ((A second, recent example (equally not mentioned in the Heidelberg Report) is the Ficantieri case: Legal Department du Ministère de la Justice de la Républiue d’Irak v. Sociétés Ficantieri Cantieri Navali Italiani, Finmeccanica et Armamenti e Aerispazio, Paris Court of Appeal, 6/15/2006, Rev. arb. 2007, 90. In this case, the Genoa court of Appeal had held that the arbitration was invalid. Despite this judgment the award was recognised in France, because the French courts applied the French autonomous law on arbitration. They held that the French doctrine of negative kompetenz-kompetenz excluded the recognition of the Italian judgment.)) With regard to judgments, European procedural law clearly precludes such constellation: A judgments which has been set aside in the Member State of origin cannot be recognised and enforced in other Member States. ((Accordingly, from the perspective of European law, the basic concept of international arbitration (which permits simply to ignore judgments of the courts of other Member States) does not correspond to basic needs of a coordinated dispute resolution within the European Judicial Area (see Article 32 JR).)) From the perspective of European law the question arises which compelling reasons justify the different treatment of arbitral awards in the Internal Market. Against this background, the reconciliation of the different perceptions related to arbitration and litigation in Europe is a demanding task. However, it seems appropriate to highlight two basic assumptions which form the basis of this paper: First, the idea of separating arbitration entirely from European procedural law is an illusion. ((Contrary opinion: International Bar Association Arbitration Committee, Working Group on [the reform of the Regulation Brussels I], Submission to the European Commission (ref. no 733814/1 of July 2009), no 18 asserts “the absence of significant problems in the interface between arbitration and the Regulation”. However, the Working Group itself carefully described recent case-law (Putrabali, Cytec and Ficantieri) which demonstrates considerable problems with regard to arbitration and EU law.)) Arbitration in Europe is strongly involved in the application of mandatory European law. Therefore, the courts of the Member States must apply the New York Convention (and their national laws on arbitration) in a way which conforms to EU law. As recent case law demonstrates the issue is becoming more and more compelling. ((Herbert Smith, Response to the Green Paper on the Review of the Brussels Regulation of June 30, 2009, p. 7-8; House of Lords, European Union Committee, Report on the Green Paper on the Brussels I Regulation of July 27, 2009, nos. 86 – 96.)) It is predictable that instances will occur in which the ECJ again will be concerned with matters related to arbitration. ((It should be noted that the recent case law of the French courts occurred within the short period of two years (2007-2008). Recently, the competence for concluding investment protection treaties of the Member States under Articles 69 and 307 EC-Treaty (which is closely related to arbitration) was reviewed by the ECJ, 11/19/2009, Case C-118/07, Commission v. Finland.)) The existing (and the future) case law may trigger specific legislative activity of the European Union in this field. ((This option is expressly mentioned in the Green Paper on the Reform of the Regulation Brussels I, COM (2009) 174 final, p. 9 (with specific reference to Article VII of the NYC).)) Second, as the exclusion of arbitration from European law is not an expedient option, it seems preferable to address the interfaces with European procedural law in the new Regulation Brussels I explicitly and positively instead of awaiting the proposals for a comprehensive EU-instrument on arbitration in a close future. ((See Bollée, Annotation to ECJ, Allianz SpA./.West Tankers, Rev. arb. 2009, 413, 427.)) The proposals of the Heidelberg Report on the reform of the Regulation Brussels I must be seen in this context. When the Report was prepared, its authors were fully aware of the pending reference of the House of Lords to the ECJ in West Tankers and expected the outcome of the case. Therefore, the main objective of the proposals is to avoid a West Tankers’ situation and to preserve the prevalence of arbitration agreements in a constellation where a party initiates litigation in a (foreign) civil court although it is bound by an arbitration clause. ((Schlosser, SchiedsVZ 2009, 129, 130 et seq. ; Hess, in: Global Arbitration Review 4/2009, p. 12, 16 – Round Table on the EU Green Paper (Brussels 6/29/2009).)) The proposals aim to reduce the uncoordinated competition of parallel proceedings in different Member States and to prevent torpedo actions. Court proceedings shall be concentrated in the Member State where the arbitration takes place. Accordingly, the proposals provide for an exclusive head of jurisdiction for court proceedings supporting arbitration in the civil courts of the Member States and the corresponding obligation of the courts in all other Member States to transfer parallel litigation to the courts of the Member State where the arbitration takes place. In response to some of the criticisms, it seems to be appropriate to clarify a major point which the proposals neither intend nor contain: First, they do not intend to increase satellite or parallel litigation in cases where the arbitration clause is undisputed. ((This criticism – unfortunately based on a misreading of the proposal – was expressed by the International Bar Association Arbitration Committee, Working Group on the reform of the Regulation Brussels I, Submission to the European Commission of June 15, 2009 (ref no 733814/1) no 26. According to this reading, parties of an arbitration agreement “would be forced to sue in a court instead of initiating arbitration proceedings”. This misunderstanding was clarified during a round table in Brussels, 6/29/2009, but it is still present in many submissions, see Global Arbitration Review 4/2009, p. 20.)) Since the Regulation only addresses the coordination of conflicting litigation between state courts, it does not address the relationship between state courts and arbitration – this issue is left to the New York Convention and the procedural laws of EU-Member States. ((McLaughlin, 336 RdC, 203, 374 et seq (2008) criticizes the Heidelberg Report, because it does not ensure that the courts of the Member State where the arbitration takes place directly send the parties to arbitration. However, this solution would implement the French doctrine of the negative kompetenz-kompetenz at the European level although it has not been accepted by most of the EU Member States. In addition, the proposal of McLaughlin would directly include arbitration in the framework of the Regulation and enlarge its scope considerably. The Heidelberg Report clearly distinguishes between court proceedings and arbitration proceedings.)) Accordingly, when the arbitration agreement is undisputed, parties may immediately initiate arbitration proceedings without any recourse to State courts. ((The opposite assertion by E. Gaillard, Letter to (former) EU-Commissioner Barrot of June 29, 2010, is not correct: “It means that applying to courts at the seat of arbitration will become a prerequisite to arbitration proceedings conducted within the European Union”. This assertion is obviously based on a misreading of the proposal which only addresses parallel proceedings (on the validity of the arbitration clause) in different EU-Member States.)) Even if the clause is disputed, Member States shall be free to provide a system of negative competence-competence where the arbitral tribunal decides on the validity of the clause or Member States ((Radicato di Brozolo, IPRax 2/2010, criticises the proposal as “courting disaster, as the … proceeding may end up … before a national court.” However, according to Article V (1) (a) NYC, the validity of the arbitration clause will finally be verified by a “national court”. However, the advantage of the proposed Article 22 no. 6 JR is that this decision will come up at a very early stage of the proceedings. Accordingly, the parties will save money if the clause is deemed to be invalid or they will get increased legal certainty, as they will be certain that the award will not be annulled because the arbitration clause is deemed void.)) may provide a system where the competent state court may decide on the validity of clause. New Article 27A: “A court of a Member State shall stay the proceedings once the defendant contests the jurisdiction of the court with respect to existence and scope of an arbitration agreement if a court of the Member State that is designated as place of arbitration in the arbitration agreement is seized for declaratory relief in respect of the existence, the validity, and/or scope of that arbitration agreement”. 3. Should the arbitration exception of the JR be deleted? The proposed deletion of the arbitration exception has been widely criticized by the arbitration world. To some extent, this critique seems to be understandable since the proposal will visibly reduce the “psychological gap” between European civil litigation and global arbitration under the New York Convention. However, in practice, the implications of the proposal will be rather limited, because the prevalence of the NYC shall be fully guaranteed by Article 71 JR. ((Hess/Pfeiffer/Schlosser, The Regulation Brussels I (2008), no. 130.)) Pursuant to this provision, the Regulation Brussels I fully guarantees the prevalence of special conventions. ((This principle was confirmed recently in the opinion of GA Kokott in the case C-533/08, TNT Express Nederland B.V. v. Axa Versicherungs AG, para. 31 et seq.)) Further, the arbitral proceedings as such are not addressed by the Judgments Regulation. Only the supportive functions shall be included in the framework of the Regulation. As a result, the present state of affairs will largely remain unchanged. This reformulation of Article 1 (2) (d) JR would certainly equally (and hopefully) reassure the arbitration community. However, the basic proposal to realign arbitration and litigation will remain untouched. The Green Paper addresses the relationship to arbitration in an open-ended manner. Its 7th section starts by describing the present state of arbitration as a “matter of great importance to international commerce.” ((Green Paper on the Review of Council Regulation (EC) no 44/2001 on Jurisdiction and the Recognition and Enforcement of Judgments in Civil and Commercial Matters of April, 21st,2009, COM (2009)175 final, p. 9.)) It also clearly emphasises the prevalence of the New York Convention which shall remain untouched by the legislative efforts. However, the Paper seeks to obtain the opinion of Member States and stakeholders in the field about the interfaces between arbitration and the Regulation. Among other things, the Commission asks about appropriate actions at the Community level with regard to the strengthening of arbitration agreements, the ensuring of a better coordination between court and arbitration proceedings and the improvement of the effectiveness of arbitral awards. As the Green Paper contains a questionnaire, it would be premature to conclude that the EU Commission intends to include arbitration into the scope of the Regulation. In addition, it should be noted that the EU Commission did not endorse the proposals of the Heidelberg Report comprehensively, but presented several alternative legislative options. However, the existence of the 7th question in the Green Paper clearly manifests that the Commission is considering proposing legal action in this field. By June 30, 2009, the Commission received many reactions, 21 from the EU Member States and 1 from Switzerland (a third state); in addition many reactions from the bar, the industry, consumers’ protection associations, universities and individual citizens have been submitted. ((The submissions are available here.)) Many stakeholders in arbitration, especially law firms, arbitration associations and arbitration institutions also submitted their (diverging) views. As far as arbitration is concerned, the opinions differ: 5 Member States expressed (cautiously) support for the proposal to address the interfaces between arbitration and litigation, ((Belgium, Sweden, Slovenia and Spain (and – cautiously: Germany).)) while 3 Member States expressed concerns. ((Austria, France and the United Kingdom. Switzerland (as a third state, but a contracting party of the Lugano Convention) expressed satisfaction with the judgment of the ECJ in West Tankers and denied any need for changes.)) Especially the French arbitration scene strongly disagreed with the proposal of addressing the interfaces between arbitration and litigation in the Regulation. ((See the submissions presented by AIA; Allen and Overy LLP (presenting an own proposal); Barreaux de France; Centre belge d’arbitrage et de mediation; Chamber of national and international Arbitration of Milan; Chambre de commerce et d’industrie de Paris; Comité français de l’arbitrage; Comite national Français de la Chambre de Commerce Internationale; Deutscher Industrie- und Handelskammertag ; International Bar Association Arbitration Committee ; Mr. E. Gaillard ; Paris, The Home of International Arbitration (A. Mourre); Lovells LLP. It must be reiterated, however, that some of these critics obviously misunderstood the proposed solution of the Heidelberg Report; see supra footnotes 33 – 35.)) However, other stakeholders in arbitration supported the idea. ((See inter alia the submissions presented by Bundesrechtsanwaltskammer; City of London Law Society; Civil Justice Council (cautiously); Clifford Chance LLP (“may be beneficial”); Commercial Bar Association; Council of Bars and Law Societies of Europe; Deutscher Anwaltsverein; German Institution of Arbitration; Herbert Smith LLP; Mr. A. Dickinson; Siemens AG; Spanish Arbitration Club.)) All in all, it must be noted that a clear tendency for or against the proposals cannot be ascertained. Will it be possible to reconcile the diverging perspectives of the arbitration world and European procedural law? From today’s perspective, a clear answer to this question may appear premature. However, as has been shown in this contribution, much of the criticism forwarded against the proposals of the Heidelberg Report is still based on misunderstandings. Moreover, a solution which promotes that arbitration shall take blind precedence over the Brussels Regulation would entail a re-nationalisation and fragmentation of European procedural law. This, however, contravenes the requirements of a coordinated dispute resolution in the Internal Market. On the other hand, the proposal of the Heidelberg Report to delete the arbitration exception entirely maybe goes too far. Therefore, it may be advisable not to delete the arbitration exception, but rather to reduce and to clarify its scope. ((See supra text at footnote 59.)) However, the inclusion of the new Articles 22 no 6 and 27A in the Judgments Regulation is still strongly recommended. The critics expressed against this proposal seem not to be convincing. Nevertheless, the proposed regime should only apply if the parties choose an EU Member State as the place of arbitration. Third state relations should be excluded – in this respect Member States should be free to adapt their national arbitration laws to the international framework. One final objection against the inclusion of arbitration in the framework of Brussels I remains: Many critics expressed the concern that parties would not select Europe as a place of arbitration since the autonomy of arbitration would not be respected. However, this concern does not seem to be realistic. The aim of the proposed Articles 22 no 6 and 27 A JR is to avoid obstructive tactics against arbitration, especially torpedo-actions. In this respect, the position of arbitration in Europe will be improved considerably. Further, the decision on the validity of an arbitration clause will be recognised in all Member States. Thus, legal certainty for the parties with regard to arbitration will be improved considerably. Against this background, it seems very unlikely that the proposed “regional regime” will unleash an exodus of arbitration from Europe to other places in the world. This is primarily a European issue. However, some comments may be appropriate following Professor Hess’s thoughtful remarks. 1. Civil procedural law is enacted for the courts of law to follow, not for arbitral tribunals or arbitration institutions. Arbitration law is a particular branch of the procedural law dealing with arbitration proceedings which are quite different from court procedures. Otherwise, sovereign states can set up more courts with the taxpayer’s money. In this respect, arbitration has nothing to do with the civil procedural law that courts follow, though arbitration law and civil procedural law share some core principles. However, from the judicial perspective, it is the court’s duty to assist arbitration in the field of (i) jurisdiction on merits of the dispute, (ii) procedural aspects and (iii) recognition and enforcement of arbitral awards. It is in this sense that courts cannot avoid making decisions concerning arbitration, which are judicial decisions not arbitral decisions. Commercial arbitration and commercial litigation are alternative to each other, the demarcation of which is clear under current EU law and jurisprudence. West Tanker is about judicial competence not arbitration and accordingly falls into the scope of Brussels Regulation. 2. 1958 New York Convention demonstrates a clear policy of favouring arbitration. Under NYC, setting aside an arbitral award by the competent court at the seat of arbitration constitutes a lawful ground for refusing enforcement of the award. However, the court in the country where the enforcement is sought has discretion not to refuse enforcement because Article 5 (1) (e) states that enforcement MAY be refused if the award has been set aside. Article 7 (1) in effect underscores the same policy in a positive way. What French court has done to enforce an arbitral award annulled by a Belgian court is consistent with NYC, albeit potentially inconsistent with EU law. The question for EU is: in case of conflict between a duty (or a right) pursuant to an international treaty and one under EU law, which shall prevail? It may not be a tough question for the relation between the member states of EU, who are simultaneously the contracting states to NYC. The real question is: is it in the interest of EU to enact a law which might be incompatible with the policy endorsed by NYC? 3. If the drafters of the amended JR expect the users of arbitration to designate in advance in their arbitration agreement a clear lex arbitri, they might be disappointed. There are three applicable laws in arbitration involving a contractual dispute, the proper law of the main contract, the governing law for the arbitration agreement and lex arbitri. The substantive law chosen by the parties is usually intended and interpreted only as the law for the main contract, e.g. a sales contract or an investment contract, which is not necessarily the governing law of the arbitration agreement. It is clearly not lex arbitri since the latter is basically a procedural law. Among the hundreds of commercial contracts I have reviewed in which there is an arbitration clause, not more than 1% of them have designated lex arbitri. Legal counsels, let alone businessmen, do not bother themselves for such designation. And from a practical point of view, it is extremely inconvenient if the lex arbitri is designated as a law different from procedural law of the country of the seat of arbitration.